Dogs will look better than ever during the holiday season in this sparkling Embroidered Poinsettia Dog Christmas Sweater. The dog sweater design is comfy acrylic knit with ribbed sleeves, cuffs and hem. 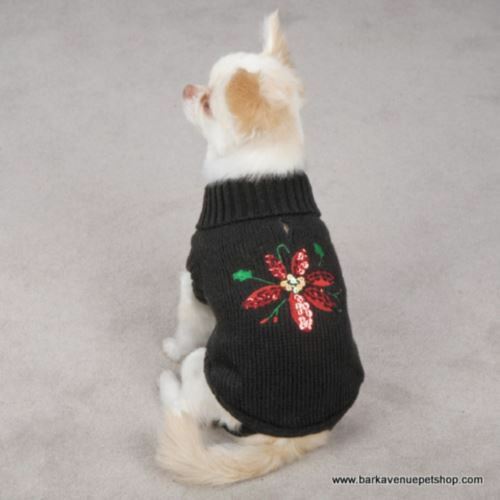 The Poinsettia Dog Christmas Sweater features and embroidered, sequin-accented poinsettia design on back.